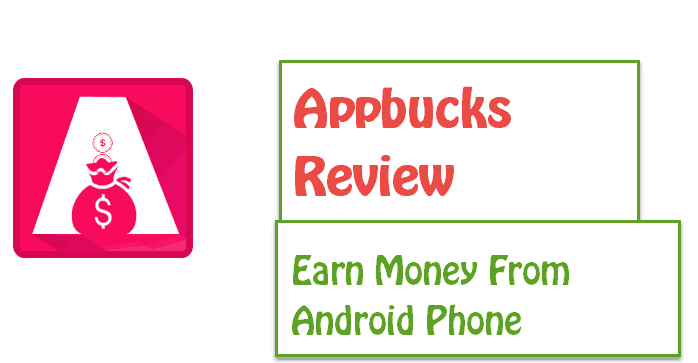 Appbucks Review: Are you running out of money? Or you need money instantly for some other work? Or you want to buy your favourite product? But, you don’t have a single penny in your pocket to satisfy all your needs. To get a solution for all the questions. You should know completely about Appbucks. So, Let’s move onto the topic. As a teenager, I know, getting money from home is a back breaking work. I researched few days on the internet and finally got the solution to get rid of those problems. The solution is Appbucks. 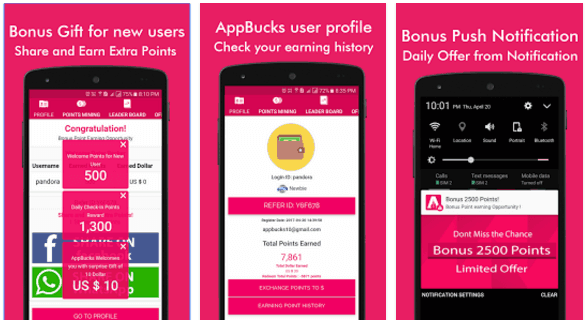 1.1 How To Redeem the Points in AppBucks? It is just like regular Application, which is available on Play Store for free of cost. This App Rewards you in several activities. They will pay $10 for newly registered users including 1000 points, and you can participate in various tasks to get more points. You will get 250 points for opening the app daily. You can also refer your friends, download apps to get more points to redeem the voucher or money. If you share the app twice a week on Facebook and Whatsapp, they will reward few more points. Now, they are offering $5 extra for rating their app on Play Store. All you need to, rate the app on play store and take the screenshot of it and upload it in their app to get $5 instantly. Get 500 Points Instantly using this Code: – 37G77Z (To Enter this code, Go to Profile >> Select Refer ID >> Then, Enter the code. How To Redeem the Points in AppBucks? You can redeem the money once you reach the Minimum Payout. You need to reach 50,000 points to get 50$. (1,000 Points = 1$). The payout will be in the form of Play store credits, PayPal and Paytm. Referral Code: – 37G77Z (+500 Points to your account). We have not received any payments till now. We are testing this app. Because we haven’t reached the goal of (50,000 Points) to redeem the money. Once, we receive the payment. We will update the proof of earnings. As of now, We are just reviewing the app. We will not compel you to download the app. Don’t ask if you didn’t get money after reaching the goal. This post will be removed if the App is examined as scam or fake. Open Play Store, Type as Appbucks and Install the App on your Phone. Open the app and create an account on Appbucks using E-mail Address. Then, start completing the task to earn better more points. Refer your friends and Earn +100 to your account. Earnings will be redeemed after reaching 50,000 Points. I hope this article helped you earning money using Appbucks Android app. Please share it with your friends and let them know about this app. Thanks for visiting. Follow us on Facebook and Twitter for more reviews like this. You can post the feedback in the play store. So, they can notice and send you the money. I too faced the same problem. But, After posting the feedback. I received money from Appbucks Team. So I exchange 30000 points to 30$. Now I need for 20000 poitns to exchange 20$ and to earn my money ? Yes, after reaching 50,000 Points, You can redeem your money to your account. Thanks for commenting. Keep visiting for more updates. So it’s not problem if I exchange from 10000 points from time to time and not 50000 points immediately? No, It will not be a problem. You can only redeem after reaching 50k Points and you can’t withdrawal or use the points before reaching the minimum limit. I exchange 50000 points to 50$. What I want to do now because there’s no one optional to connect with my account to earn my money,when click to PayPal she requiers 50000 points others. Please tell me how to get that 50$ ?? Appbucks team tell me how ?? I am not the team member of Appbucks. If you want to contact them. Mail them at appbucks10@gmail.com and deliver your problem to them via Email. How can I change it to skubpa on app bucks? You can directly contact the Support team to change the details. If you have enough points in your account. Then, you can click on the Redeem button and then proceed to the payment option. i earned 100 dollars from the 50000 points. how to encash my $100? Can I get monet before makes 50000 points? So with only 10000 points to get my monry? You can withdraw your money once you reach the withdraw limit. Without reaching the limit. You cannot withdraw your money to your account. I hope you understand. Keep visiting!! How points needs minimum to get money? You need 50,000 points to redeem your money. I think, you haven’t go through the article well. I have mentioned clearly the minimum payout of Appbucks. Keep visiting for more reviews. I exchange 30000 points to 30$. How to get my money because paypal dont work? Minimum Payout Amount is mentioned explicitly. So, you can withdrawal your money after reaching the Payout limit. So, try to collect few more points. Also, If you have a problem with PayPal. Choose any other Payout option and get paid. Otherwise, Complaint to the Appbucks team. Yes, I have earned money from the AppBucks and I have also attached the screenshot of it. Can I get money before make 50000 points? So only 10000 points 10$ ? I suggest you contact the Support team regarding your issue. I hope it helps. Keep visiting for more reviews like this. I’ve had the Appbucks app for a while and also am having trouble with redeeming my points. Yes, I’ve reached the minimum requirement and contacted the app support team via email multiple times with no response. I’ve also posted a description of the problems in my review at the Play Store. Still no response. Any suggestions on how to reach an actual person would be greatly appreciated. Thank you, and good luck everyone. I think it is available for only selected countries. You can give feedback in the play store review section and do let them know your problem with them. Thanks for commenting, Keep visiting for more tech reviews like this.